ARIES: This month faces will come to your attention. It might be that you are using strategy to help either remember the names of faces or just merely keeping track of how others feel from looking at their faces. This may be an unpredictable time with friends in particular able to surprise you. There is so much that is not yet known. Information is missing, particularly relating to money or finances. You have to be wary of those things or people you take pride in. TAURUS: Odd couples or situations where people just don’t seem to “fit” will come to your attention this month. It will be difficult to “predict” how things will go. Even when you use your intuition, life just won’t go the way you think it will! Have compassion; some of what you are dealing with will feel destined to be. There are so many serious situations going on right now that need your attention. Siblings could come to your attention as well as the fact that with so much going on you or others might have to do things in pieces. GEMINI: There are several areas of your life that feel out of control right now. Decisions will have to be made and it may be difficult to be decisive. It is important to remember that there are necessary evils that require you to deal with them. There could also be some concerns regarding credibility, or situations where people don’t have the necessary confidence to proceed. A child could be featured this month as well as the idea of parenting and whether someone is a good or bad parent could also come to your attention this month. CANCER: It could be difficult to let things happen naturally this month. Things can feel like they are going down hill. Things can feel difficult and trying. You could find that you are questioning the advice you are getting. Yet at times you need that advice in order to get the help you need. In some cases it could be a matter of just taking the plunge and counting on your memories/mind to do the rest. Peace of mind is possible if you remember to take care of yourself and your health. LEO: You may begin to feel some pressure this month so listen to your gut. Your intuition is on right now. It is a good idea to also pay attention to your dreams, they can give you guidance. It is possible there will be some nights where sleep is difficult. There could be connections made this month that might trigger memories from the past. Dinner with others are highlighted this month. People, including yourself, appear to be very charming right now. You will notice situations where people let the consequences of their actions fall on others. VIRGO: Things may feel chaotic right now to the point that it will often feel that you have to go about things backwards. Early mornings are featured. Makeovers or doing something different are indicated but they can come with their own difficulties. Pain may also be an issue. This month features professional opportunities and opportunities to learn. There can be some difficulty sleeping due to issues related to work or service. Servicing others however can also lead to enabling them inadvertently so it is important to know the difference. Remember this Virgo! LIBRA: This month features situations that feel like, “Here we go again!” Likely you or others are trying to end something or put a stop to it. There is also a sense of being alone or having to go it alone, even if there is a partner. It just feels like so much is being endured and it has to stop. Having to depend on others can bring up issues of privacy as well as a sense of pessimism. The truth is important as you gather more information this month. Helping others or getting the help you need could depend on it. SCORPIO: Does it feel like you need an extra pair of hands and feet to get through a day right now? It will be good to pay attention to your body and in particular your muscles. Listening to your gut can be helpful but it is also likely that you will often question what you are feeling. Checking on a lie will come to your attention. You also have to be careful you or others don’t go overboard. Stay focused on the goals and watch your boundaries. The demands of business can make you feel exploited right now. 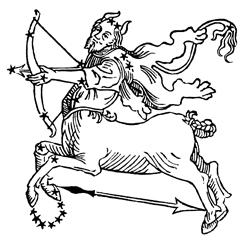 SAGITTAURIUS: As you feel overwhelmed or dizzy by a situation it will be time to withdraw and take time off. Listening to music is a good way to withdraw and occupy your mind. But there are still some sad thoughts that will cross your mind this month. There could also be some complaints that could take you by surprise. Beginnings that will cost money at a time when there are already financial issues will come to your attention. This is a great time to be with family. CAPRICORN: People are likely to over react this month which can significantly affect a person’s health. Especially likely are over-reactions in health matters! It will also come to your attention that thinking is more rational when you or others are away from home. Early morning workouts are featured as well as the idea that addictive behavior can be bad. This is a time of changing things that are out of control. It is about taking back your own control. Structure will help you be productive. AQUARIUS: Animals in cages will come to your attention including things like puppies that are being trained. There is also excitement around ornaments or things that are ornamental. There is an attitude of “just do it!” when it comes to tasks and responsibilities. Timing might be an issue as this much going on could make people feel oppressed. Dealing with matters on the computer can also bring their own issues and misunderstandings. Getting excited about things can be a way to solve issues and problems by generating the energy for their completion. PISCES: When it comes to money it is important to speak up and speak out. Pay attention to your gut both literally and figuratively speaking to be mindful of self-deceptions right now. It may be difficult for you or others to see clearly what is going on. Interruptions and disruptions of all kinds will feel like the norm right now. It is important to pay attention to situations and people that are different and don’t follow these “normal norms”. Vehicles, including cars, will come to your attention this month. Does your own car need attention?